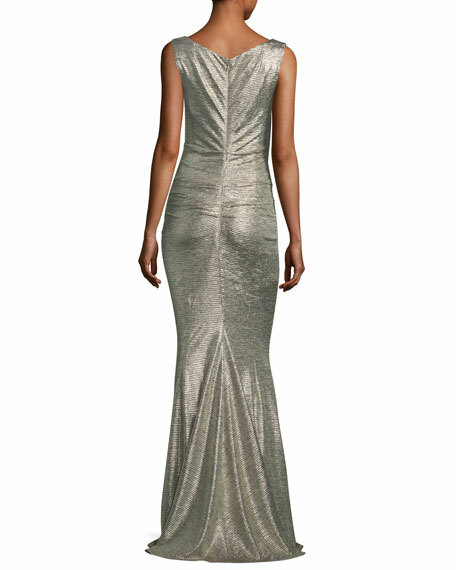 Talbot Runhof "Bossa" evening gown in ruched glitter jersey. Approx. measurements: 64"L center back to hem. For in-store inquiries, use sku #2411164.